The weekend has finally arrived! 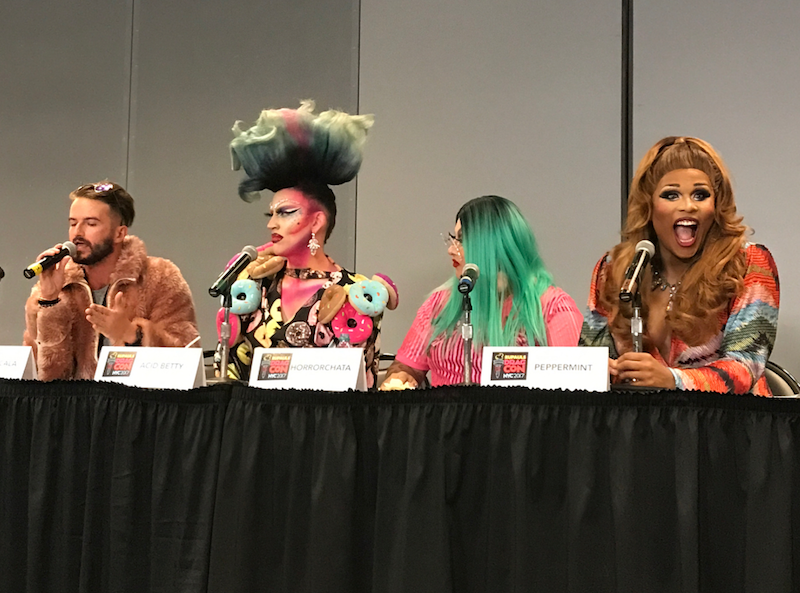 The inaugural #DragConNYC is going on right now at the Javits Center in Manhattan, and the convention hall is packed to the gills with fans, exhibitors and — most importantly — several of the drag queens from your favorite reality competition series, RuPaul’s Drag Race. 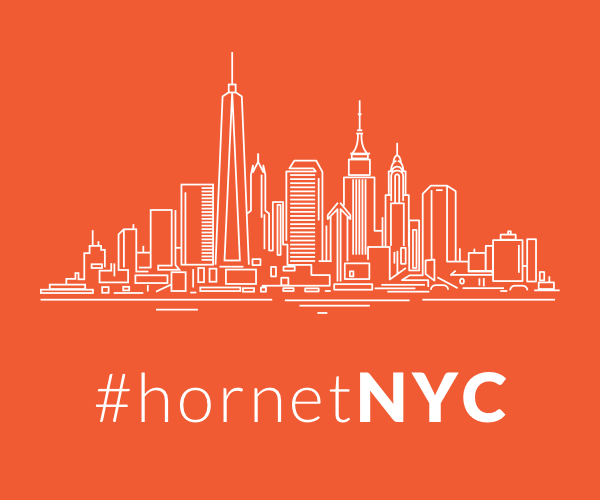 Hornet is also present at the Con this weekend, interviewing the queens and documenting the two-day event with photos and video. For those of you who couldn’t make it out to New York City this weekend — and even those here enjoying all the wigs and heels but who might have missed some of the weekend’s top moments — we’ve got you covered. We’ll be updating this post throughout the weekend with more photos and video, so check back often! For up-to-the-minute coverage, follow us on Facebook and Instagram. 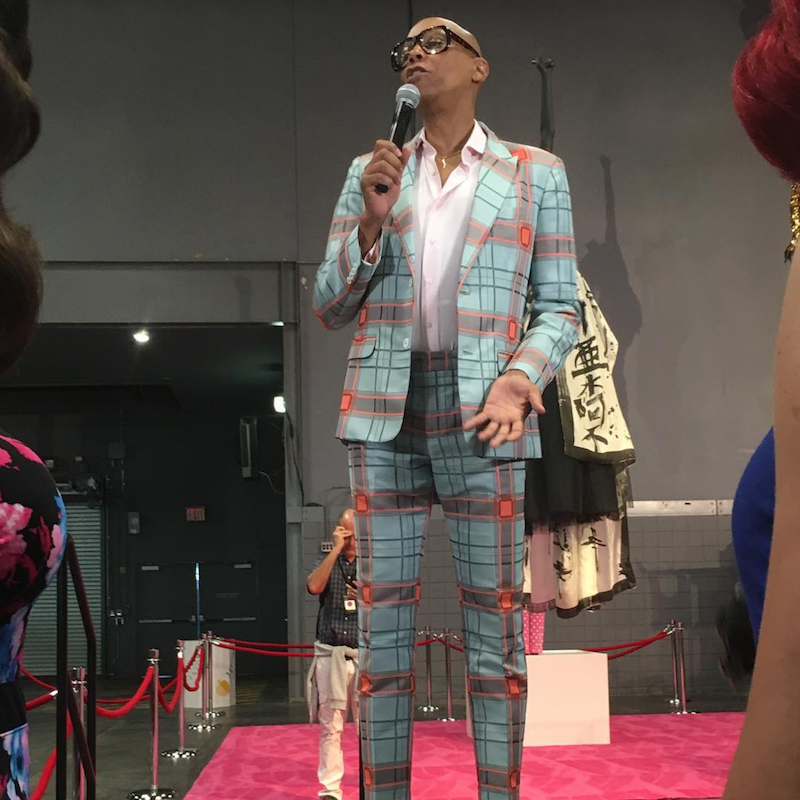 #DragConNYC began, as it should, with Mama Ru welcoming the crowd and cutting the ribbon. “Everybody say love!” she told the crowd, and the crowd of course responded in kind. 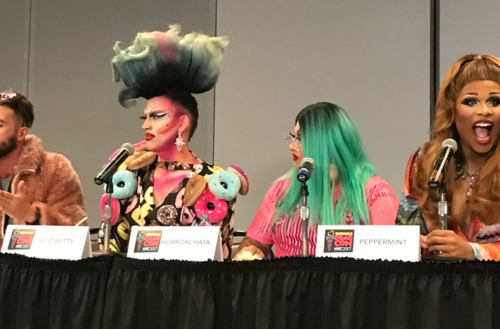 Along with RuPaul was a bevy of queens from various Drag Race seasons, all of whom are present at the convention hawking merchandise and happy to take photos with fans. RuPaul’s booth — one of the convention’s centerpieces (note the pink carpet) — features famous runway gowns from the series, some suits as well, the crown and scepter bestowed on a season’s winning queen and RuPaul’s Emmy! Hornet Executive Editor Stephan Horbelt got some of the queens to open up on-camera about their craziest fan interactions. Look for the video interviews sometime next week! 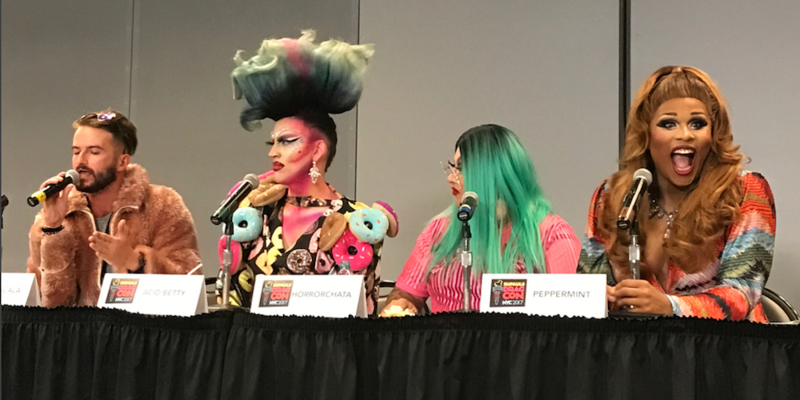 And Hornet Senior Editor Alexander Kacala moderated the #DragConNYC panel of New York queens, featuring Acid Betty, Horrorchata and Peppermint!